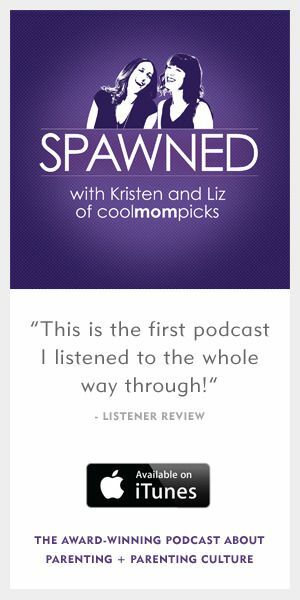 I’m amazed every day at how many tech innovations in baby gear there have been since I had my first daughter nine years ago, many of which we’ve featured here on Cool Mom Tech. By far, one of the most popular strollers we’ve shared with you was the 4moms Origami stroller, also the makers of one of my favorite play yards. And now we have the exclusive scoop on three amazing new products from them and wow–they are incredible. Let’s just say I am geeking out over baby gear and don’t even have a baby. Recently, I was invited to the 4moms home office in Pittsburgh to get up close with the new offerings. 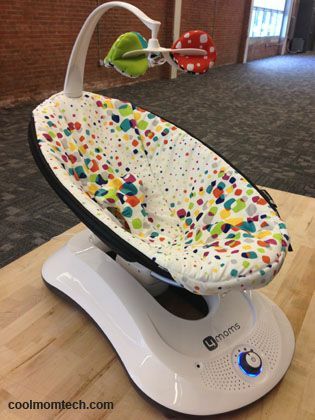 First up, was their stylish new infant swing system called the rockaRoo (above). What’s special is that it moves the pivot at the base, making it move more like a rocking horse than a traditional swing to maximize a baby’s sensation of motion. 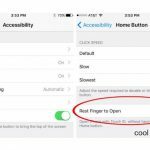 At first, I was a little taken aback by how different it is but the research behind it sold me. And it’s practical too, with a washable cover, plus the compacts size means it’s the rare swing that doesn’t take over your entire family room. Hooray! The new Origami Mini has many of the cool features of the hugely popular, teched-out 4moms Origami stroller we’ve featured here, but now as a convenient umbrella stroller. It’s still got the awesome one-touch, epower-activated folding mechanism (even though it’s a little less necessary with a smaller stroller), as well as the daytime running lights and the all-important cell phone charger. The Origami may be the stroller we heard the most buzz about all year so it’s wonderful they’re bringing the same technology into a smaller frame, making it great for travel, or for older toddlers who are in and out of the stroller more. The stand-out of the lot for me, however, has to be the new 4moms infant car seat. It completely blew my mind when I got the personal demonstration, because it installed itself. The seat totally auto-levels and auto-tensions, as well as verifies the correct base installation and carrier connection before each car ride. 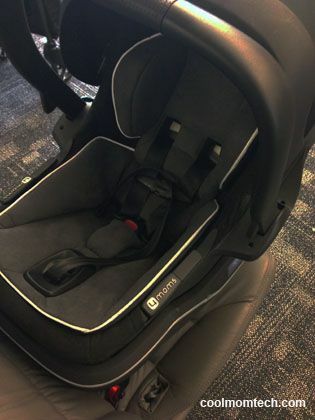 Not only will it put a ton of new parents at ease way more than any other infant seat, but I’m quite certain that it will completely revolutionize car seat safety for the whole category. You heard it here first. 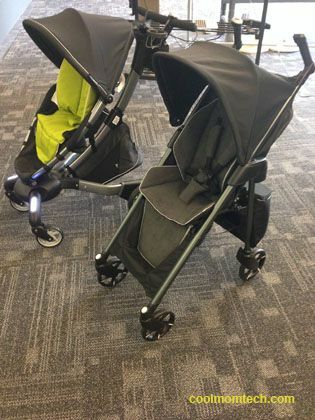 You can purchase the new rockaRoo in early 2014, with the umbrella stroller and infant car seat rolling out in mid to late 2014. Thanks to 4moms for covering my travel expenses to check out their new products for our readers.